For those that took advantage good stuff - thank you. However, if you know of extra players or teams I have a good client that runs an excellent adult league and is looking for a more players over the next several weeks. Cost will vary on how many games left. 6 on plus goalie per side. Good job putting together this events. If the maximum amount of players is 21, then it should stay at 21. Anymore than 7 a side is too crowded. 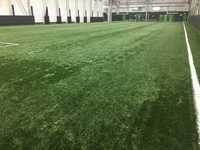 Great facility, field and staff. But I wish the game would be more organized. Each team should be limited to having only 7 players on the field at all times, any more and it gets too crowded. 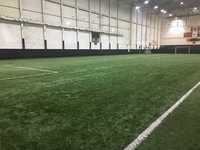 I'm a midfielder and a defender, looking to play soccer with other players. 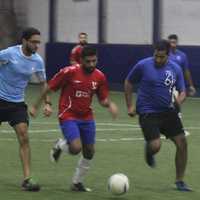 I'm from Brasil and I’m a forward and a midfielder, looking to play soccer with other players in free games. 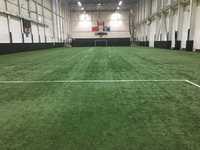 I'm looking to play soccer with others. Goalkeeper by default. But more than a decent player in defense and midfield. 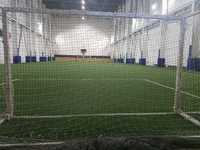 I'm looking to play soccer with others. I’m living in Scarborough. It doesn’t matter where the Pick-up is I’ll get there. Just need to play some soccer as often as possible.